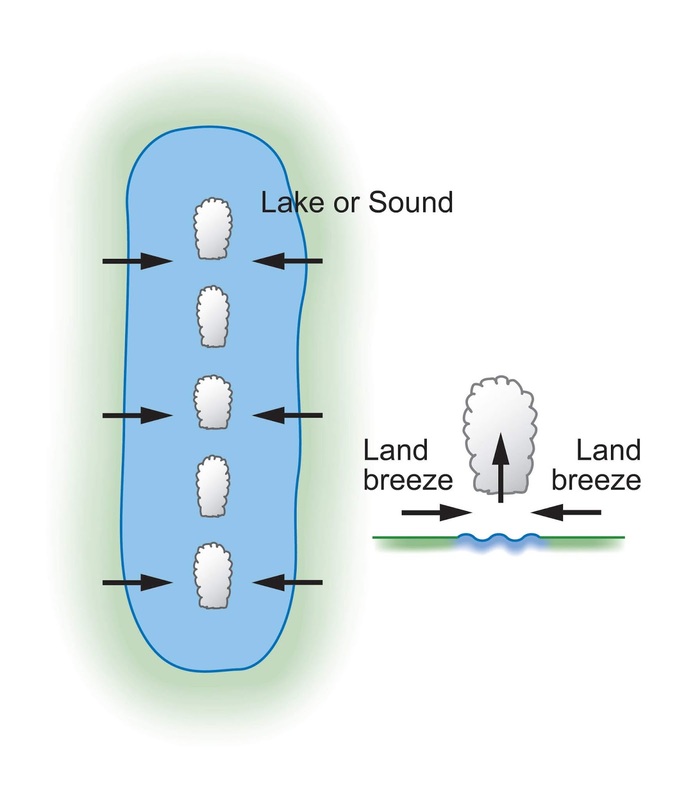 This morning I was at an early meeting at the UW, looking out towards the West and I saw a line of low-level clouds and I recognized their origin.... clouds over the Sound produced by converging land breezes from both shores. Here is a satellite image this AM over northern Puget Sound...you see the line of clouds? 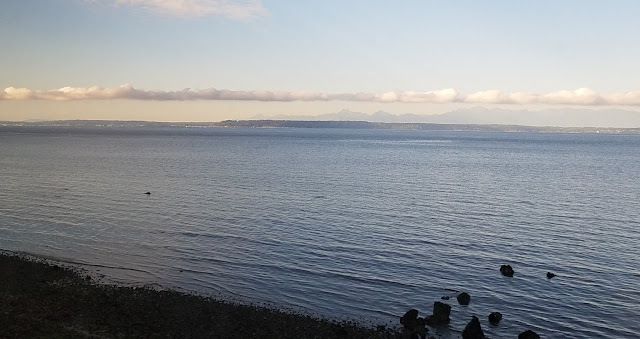 And here is a nice picture of the cloud line over Puget Sound near Everett taken by Lisa Horton from an Amtrak train. 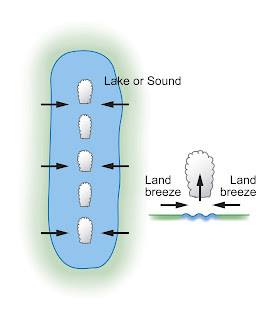 This lines were produced by land breezes, the movement of air form land to water, which occur when land is cooler than adjacent water surfaces. The low temperatures this morning (below) shows temperatures dropping into the 30sF over Vancouver Island and southern BC, while the water temperatures were around 50F, and the a number of the marine stations reported mid to upper 40s. As as result, land breezes formed on both shores and then collided over the central Strait of Georgia, forcing rising motion and clouds. A similar, but weaker, situation occurred over northern Puget Sound, with low 40s over land and low 50s over water. No land breeze clouds tomorrow...a wet weather system is approaching! Neat! I also like these short posts because learning about a local phenomena is so satisfying. I agree.. this is beautiful and fascinating. Much more so than worrying about politics or so many utterly clueless "news sources" which receive far too much attention here. Today’s satellite images around 17:19 UTC show a break in the clouds that runs along the east Puget Sound SE and extending across the NW tip of Oregon. Normally I wouldn’t pay much attention to it, but the way clouds behave in the flow on a day like today is like using smoke in a wind tunnel, you can actually see how the terrain effects the air movement. In the northerly flow, SW Washington is under a different sort of convergence zone from the Olympics. This break in the clouds, as far as I understand, results from the split flows running into each other and either creating downward motion, which evaporated the clouds, or from compression heating. When the air collides the compression causes heating and therefore evaporation. Standing wave clouds over the foothills are also fascinating, but this line was in a different orientation.